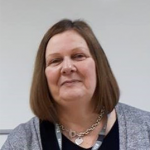 Jacky Yates is Head of Older Adults and Adult Support, and Principal Social Worker, at Ealing Council. On the occasion of World Social Work Day, we asked Jacky to tell us about why it is important and what Ealing are doing to celebrate. Tell us a bit about yourself – who are you, what’s your role and why did you get into social work? I am a Head of Service and have responsibility for services for people aged over 65, and adults who have health needs and safeguarding needs. I have been the Principal Social Worker for the last two and a half years, and a social worker for more years than I care to remember! I really enjoy being the Principal Social Worker, however, it is in addition to a busy day job and I can’t do as much as I would like. I have a varied social work background and somewhat unusually have now worked in both Children’s and Adults. Many people become a social worker because they ‘want to help people’ but my decision was made whilst doing a Sociology degree as I found the societal issues intellectually stimulating. I think that is what has sustained me over the years. Why do you think World Social Work Day is important? Being a social worker is very important for me, as it is about human relationships and the fundamental emotional and social needs we all have. Social Workers make a significant difference in peoples’ lives, and World Social Work Day is therefore incredibly important to enable us to celebrate the difference we make. Social Workers are often vilified, however in my experience few people outside the profession really understand what we do and why we do it. World Social Work Day is an opportunity to remedy that. What are you doing in Ealing to celebrate? Filming Social Workers opening letters of thanks from their clients and showing the footage on screens across the six floors of our building throughout the day. Two social workers from Adults and Children and Family services are swapping roles for the day to understand the differences and similarities in the work we do. Social workers will be writing reflections about their jobs, along with photographs of their teams, on a paper tree which will be displayed in reception. Holding wellbeing events for social workers including discussion groups, yoga, mindfulness and a keynote speech celebrating the strength-based approach we have used as a part of the transformation programme led by IMPOWER. What are your hopes for social work, both in Ealing and as a whole? We are undeniably in austerity and that has a considerable impact on how we can make a difference in peoples’ lives. IMPOWER has been instrumental in valuing and reintroducing social work, building on strengths in Ealing rather than focussing on the problems people have. This has enabled us to both meet need and save money. The challenge going forward is to avoid a situation where social work around human relationships shrinks if there are further cuts. My hope is that we can return to a sustainable level of social work, rebuild the voluntary sector and make it easier for people to be able to help themselves and have a better quality of life.